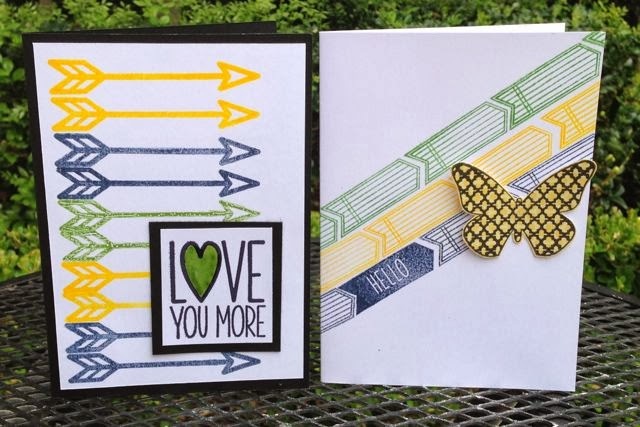 Here are a few cards I made from Catchy Crafts March kit. There are sections on some of the cards I left unfinished so I could add a banner/tag sentiment later. I still have so much leftover from the kit I could make some extras. 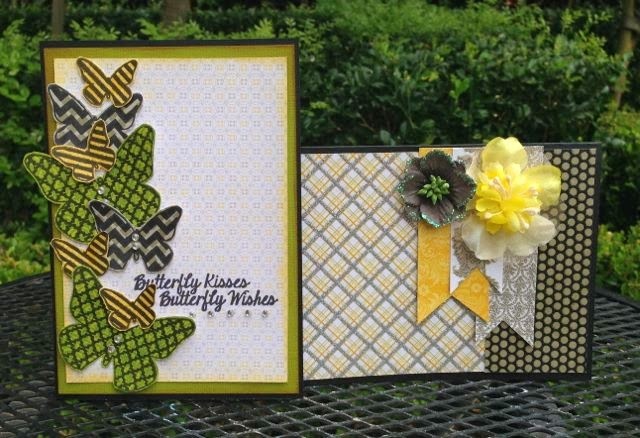 So, you may see some of the similar stamps and cs on some challenge cards shortly:-) The card stock is from the DCWV Lemon Flower stack and the stamps are from jillibean soup chilled cucumber soup set. The heart in the "Love you more" stamp is colored in with green marker, Wink of Stella, and Glossy Accents. 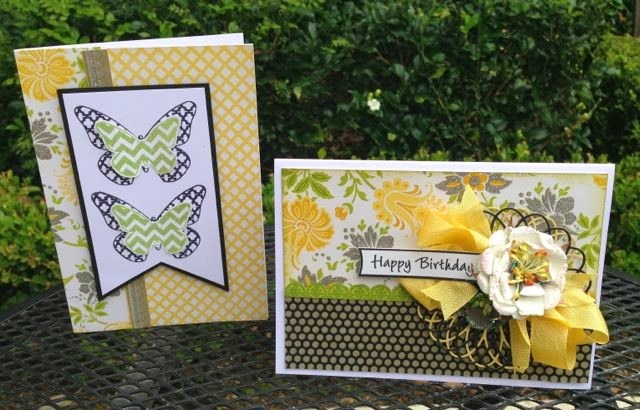 This helps to add sparkle and dimension to a relatively flat card. Super cute Tammy! Love the colors and the butterflies . . . hard to believe it is already March! Happy Day to you!